Are you looking for quality tack and leather products? Well Buckaroo leather let us try a great product that they offer and wow – we really liked it! Tom put the Git Down Rope w/Bosal & Hanger to work! This is a great product and very usable. 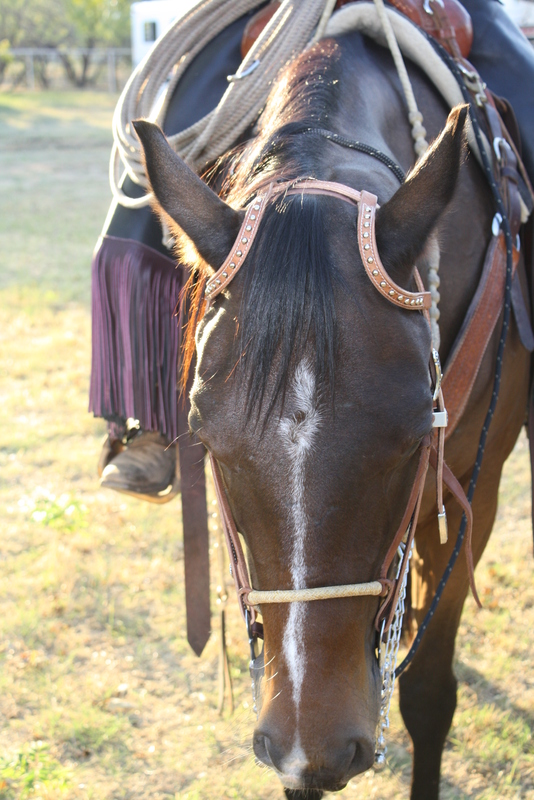 Buckaroo leather offers quality tack at good pricing. This Bosal and mecate is a very well crafted. 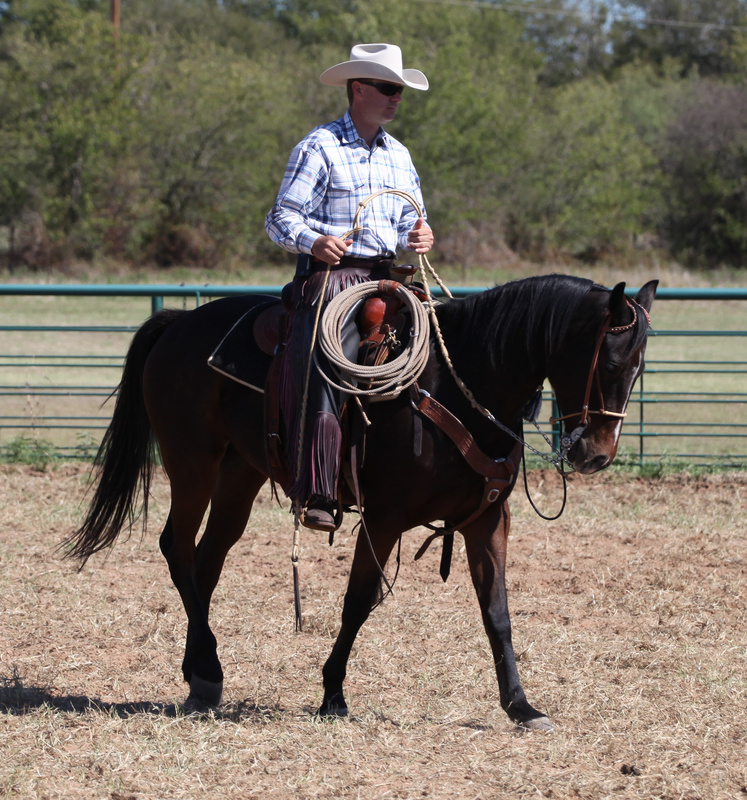 Tom has used it with everyday riding and also was able to use it during a ranch rodeo and one of his horsemanship clinics. 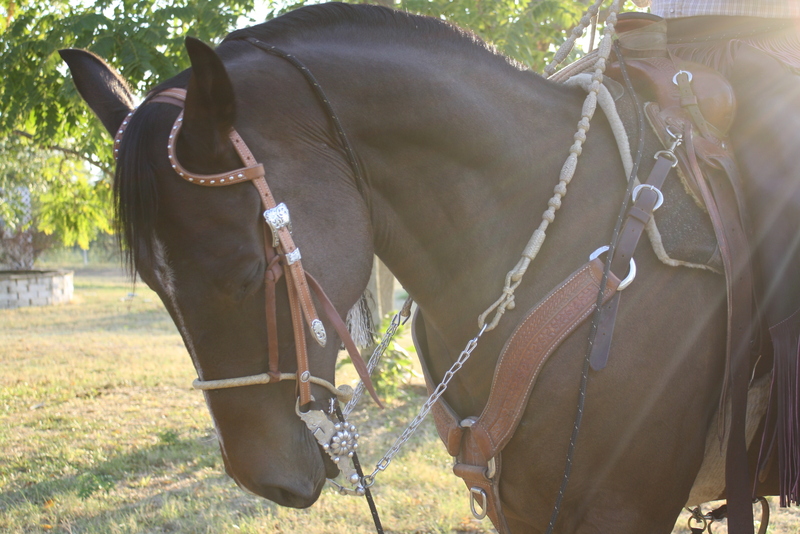 The small bosal is great for leading and tying your bridle horse so to not put undo pressure on your horses mouth. At Buckaroo Leather American Made Tack is not just a sales slogan, standing tall behind their Buckaroo logo is honesty, hard work, dedication, sacrifice and integrity. Buckaroo leathers success did not come from building the most bridles and reins, but from giving the most value. 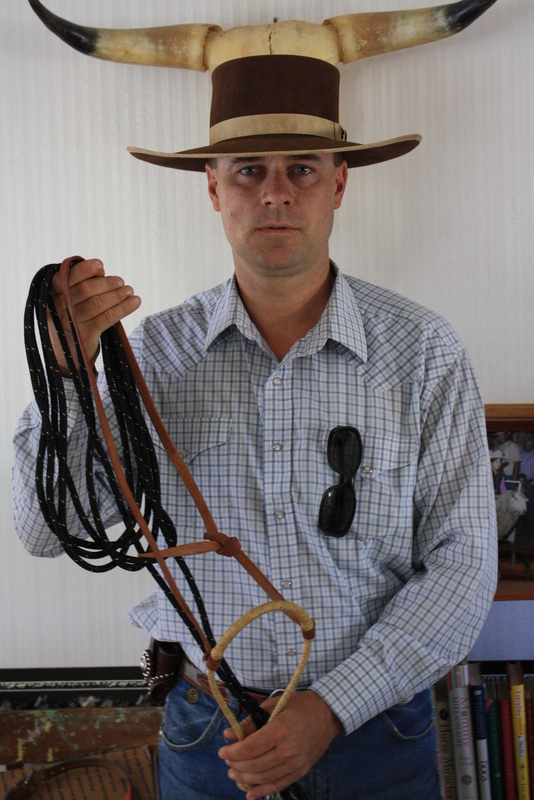 John will treat you right and sell you quality tack and leather items for your horse. Most anyone can find Tack to meet their particular demands on this website! Yet, for the rider who has needs for measurements, alterations or changes to bring their ideas to perfection, Buckaroo leather, has skilled craftsmen to meet their demands. It is Current Impression and Common Talk Buckaroo is The Brand to Demand! Be sure to go to Buckaroo Leather today and see all they have to offer and make an order for quality goods! Be sure to tell them Tom and Traci Davis sent you!